Activo-Med have been producing horse blankets for over 20 years and are the brand leaders in providing cutting edge horse and user friendly therapy equipment, making your horses feel and perform to the best of their ability. 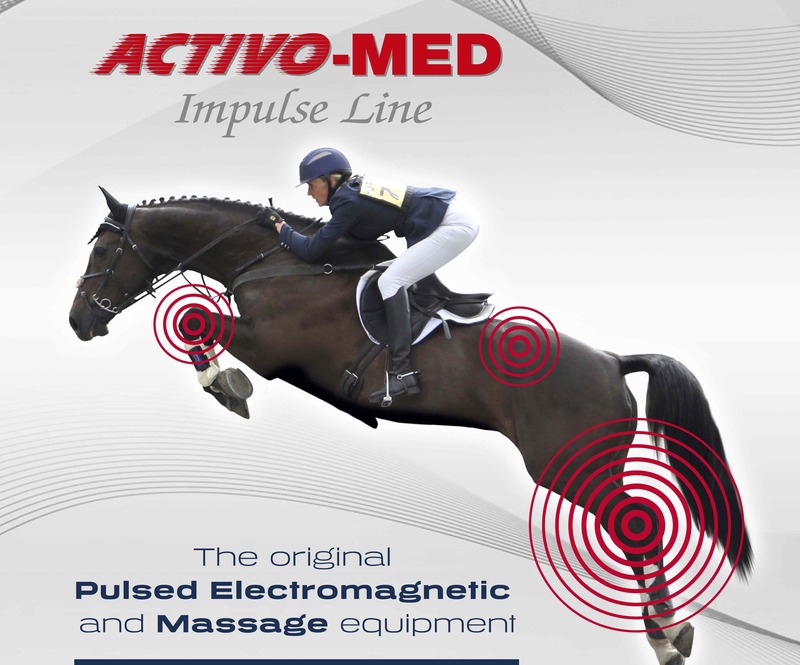 The Combi Pro II provides Pulsed Electromagnetic (PEMF) and massage therapy across the whole horse from poll to tail, including back, shoulder and thigh areas. 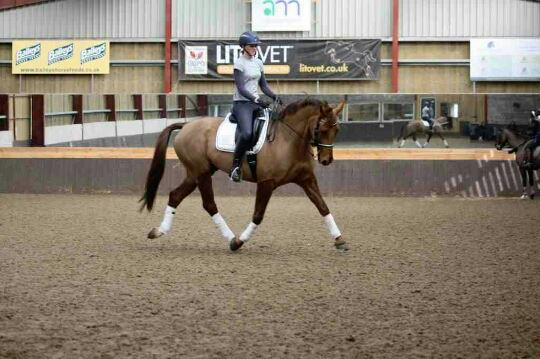 – make older horses feel more youthful. This blanket covers the main muscle groups from neck to tail, and comes with all the benefits of the Pulsed Electromagnetic Field Therapy that the Combi Pro II offers, but without the massage element. It can be used for improved performance, prevention of injury and rehabilitation, before or after exercise for suppleness and recovery. It is lightweight and easy to use, and as usual comes with a 2 year warranty. It is ideal as a second blanket or a starter blanket which can be upgraded to a Combi Pro II at a later stage. Remember you can try before you buy with our excellent rental packages, where the rental is deducted from the purchase price if you decide to buy. Contact us today! Brand new to the market, we are launching a new level of therapy blanket for users offering PEMF in a new ‘starter’ blanket or as a second blanket for those already using the Combi Pro. The Contender offers PEMF therapy to the main muscle groups of the horse from neck to tail. This brand new system has been extensively trailed to workout the optimum places to situate the PEMF coils. It is a fantastic starter system for those who wish to use PEMF or as a second blanket for those who already love the benefits of the Combi Pro Blanket offers. The blanket can be used to aid in improved performance, prevention and rehabilitation, before or after exercise for suppleness and recovery. Using the Contender PEMF blanket could not be easier – it runs off a battery and a micro control box allowing you to select your preferred time and frequency for each session. 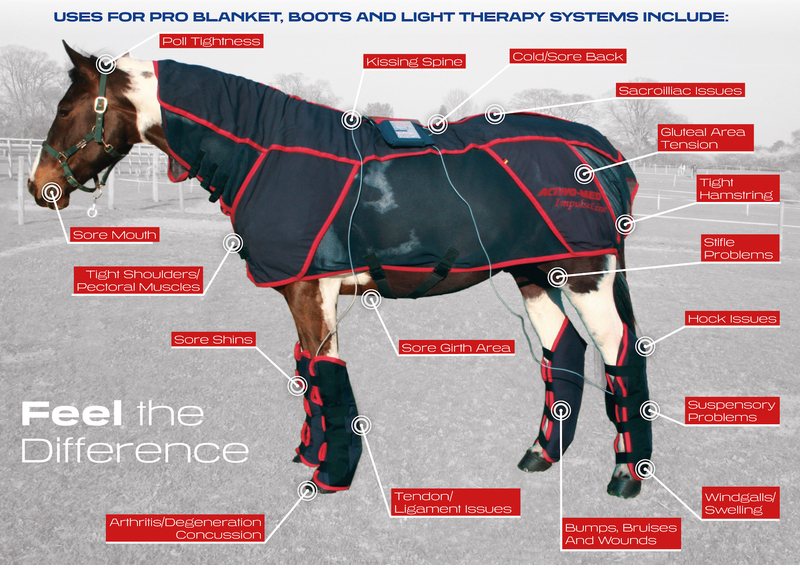 Not only does this blanket allow treatment to the horses body upgrades are available to allow you to run add-on modalities such as leg wraps and a wave light pulse and PEMF machine. Giving you great functionality from a single system. For those that wish to trail the system we offer rental and rental prices are removed from the purchase price. If you own, ride, train horses or work in a barn there is a possibility you have come across equine massage therapy at some point. It could be you have seen a horse wearing a massage blanket, have enlisted the help of a trained therapist, or have even rented a system to see for yourself. It is certainly a therapy that has risen in demand in the equine industry, with good reason – the benefits of massage have been well documented from its circulatory benefits to relaxation and therapeutic effects. However Pulsed Electromagnetic Field Therapy (PEMF) goes one step better than massage and when both are combined the results are vast. So, what exactly is PEMF therapy? And (most importantly!) how can it benefit our equine companions? PEMF is a non-invasive treatment, which applies a magnetic field to the cells within the body by pulsating an electrical impulse at a pre-set (but variable) frequency and intensity. The impulse interacts with the ions present within specific cells, accelerating activity and expediting the flow of oxygen and nutrients. When applied to injuries, PEMF Therapy can assist in both kick starting and boosting the healing process at a cellular level, whilst simultaneously accelerating the disposal of toxins and waste products. For equestrians, PEMF therapy offers an ability to proactively ‘kick start’ the healing process, minimizing downtime due to injury or illness. When used as part of a cool down routine, PEMF can also assist in facilitating post-work recovery and reduce the soreness associated with muscle strain and lactic acid build up. The option on the Activo-Med system to vary the frequency at which it operates allows the PEMF to be modified to specifically target the area at which it’s needed most. In short, PEMF can help your horse train at its best, compete to its fullest, and bounce back from injury or work as quickly as possible.